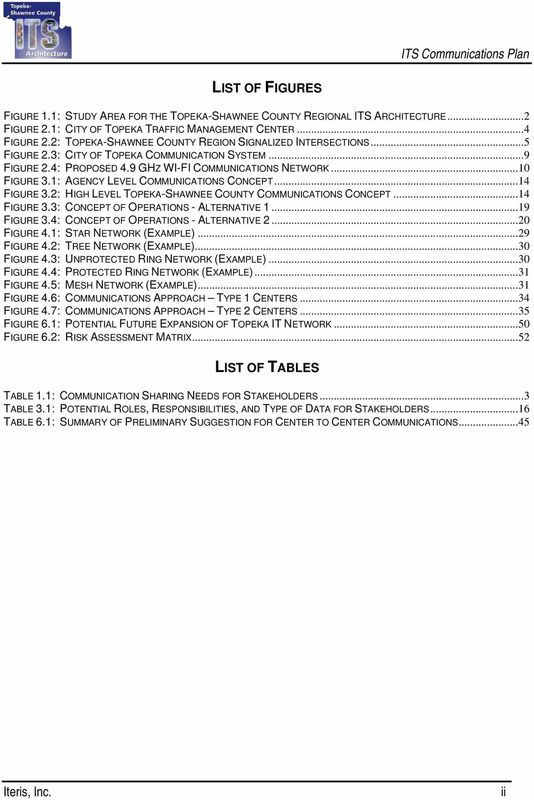 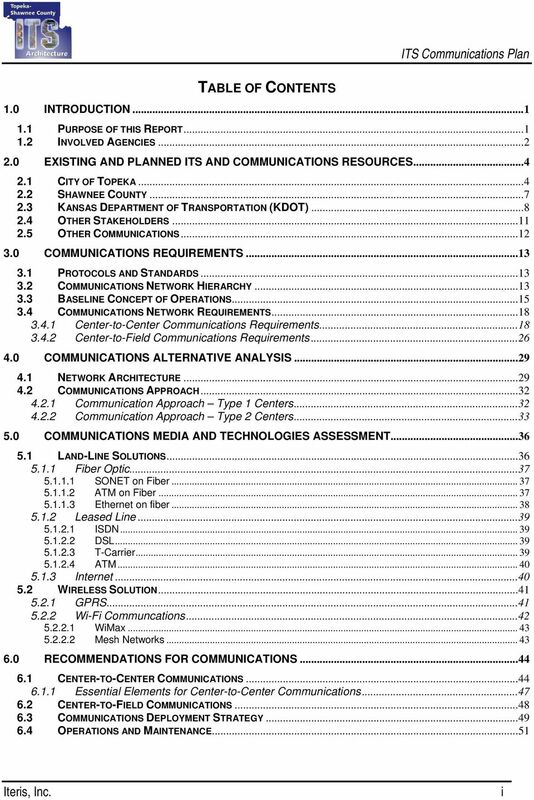 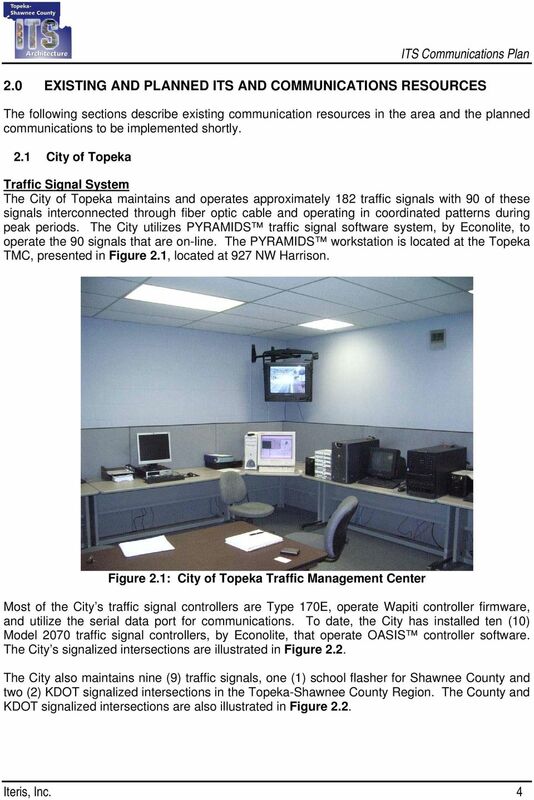 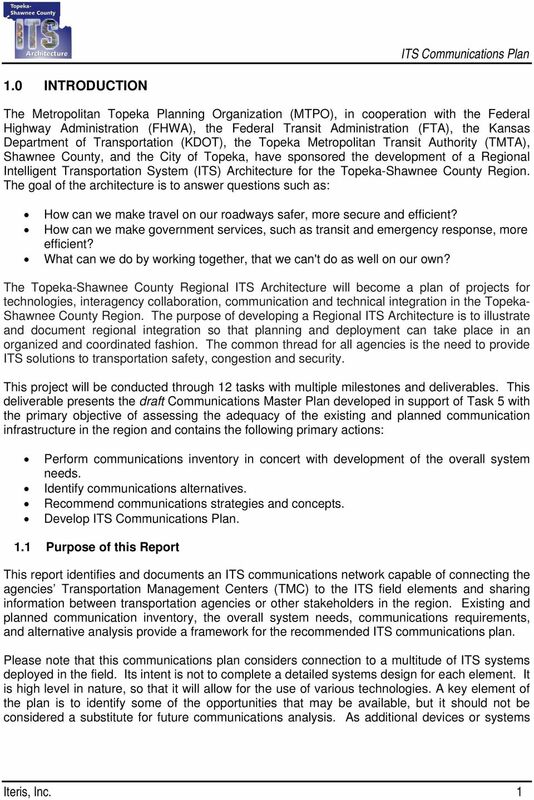 Download "The development of this ITS Communications Plan was a joint project of the Metropolitan Topeka Planning Organization (MTPO) and Kansas Department of"
2 The development of this ITS Communications Plan was a joint project of the Metropolitan Topeka Planning Organization (MTPO) and Kansas Department of Transportation (KDOT). 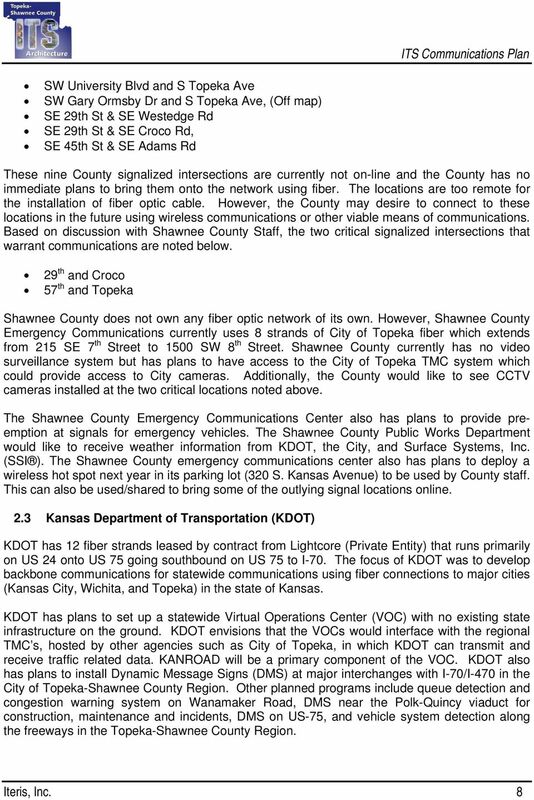 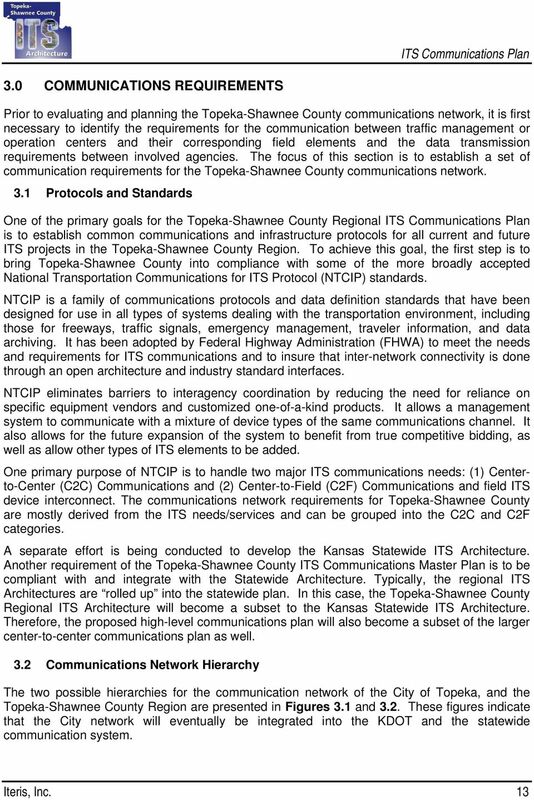 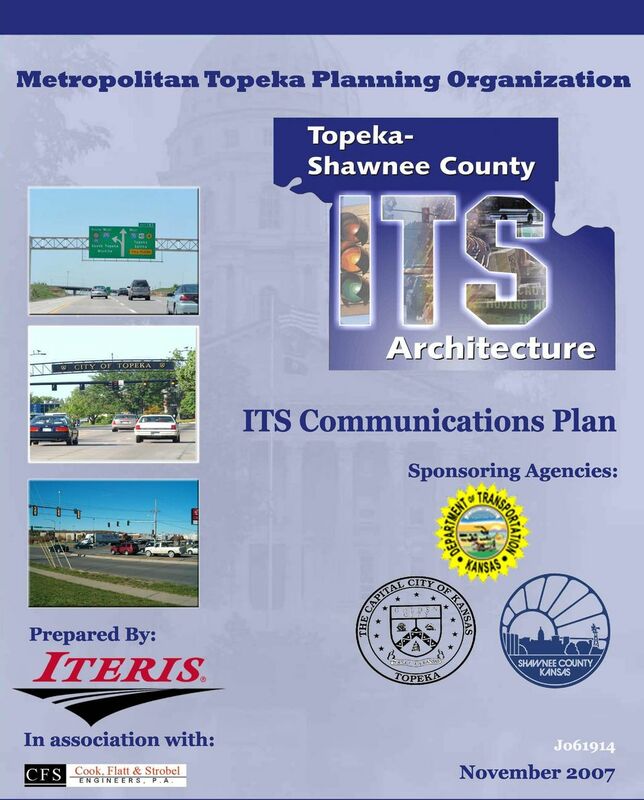 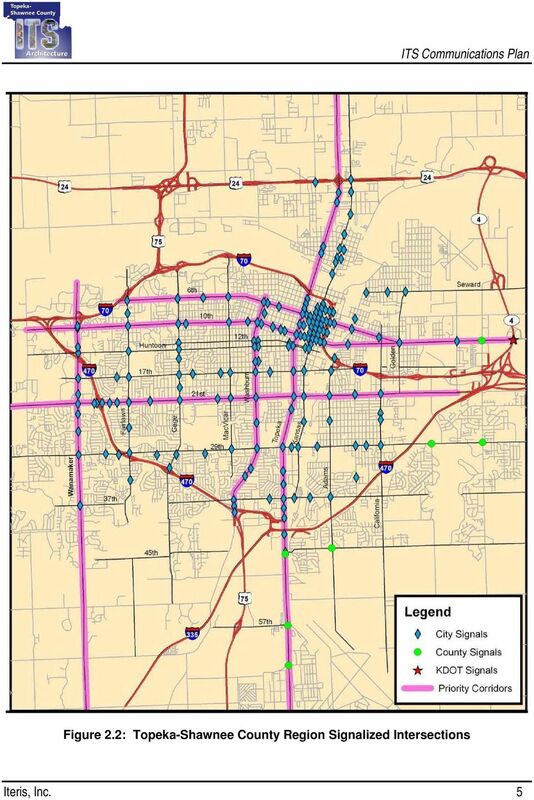 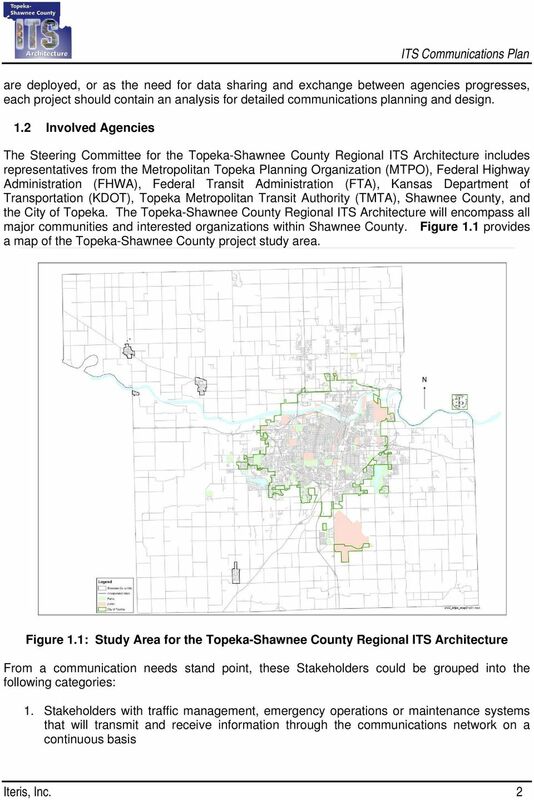 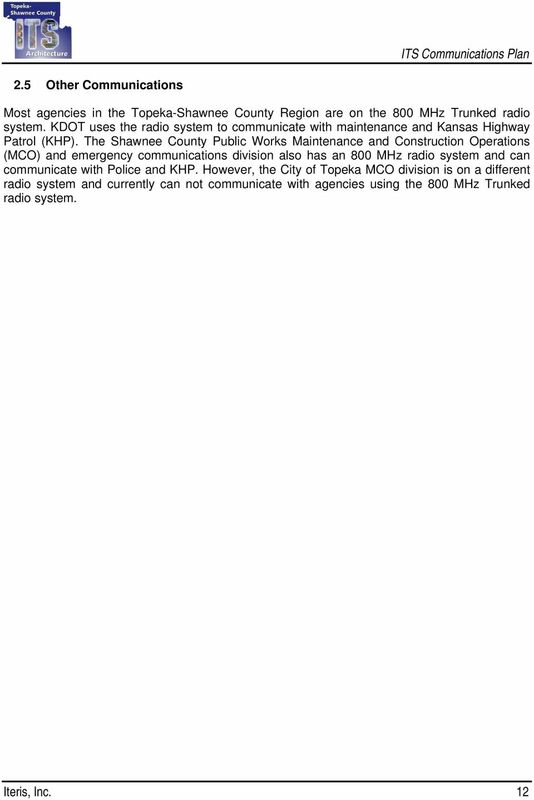 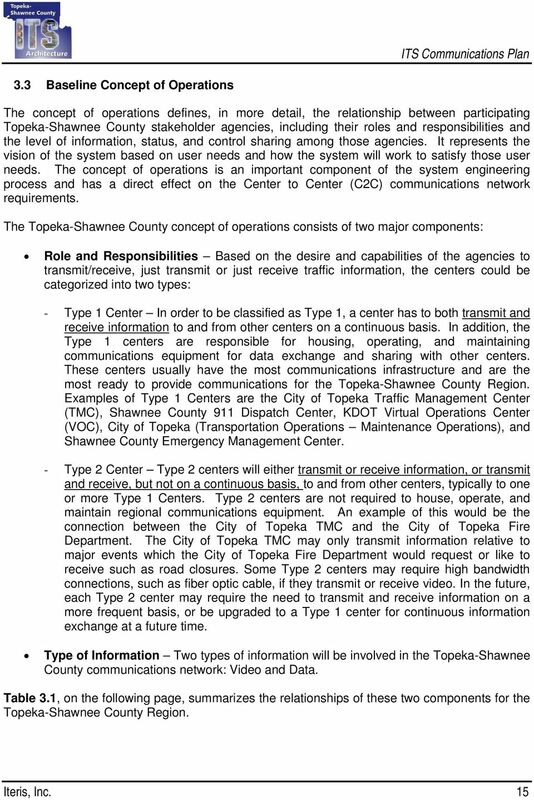 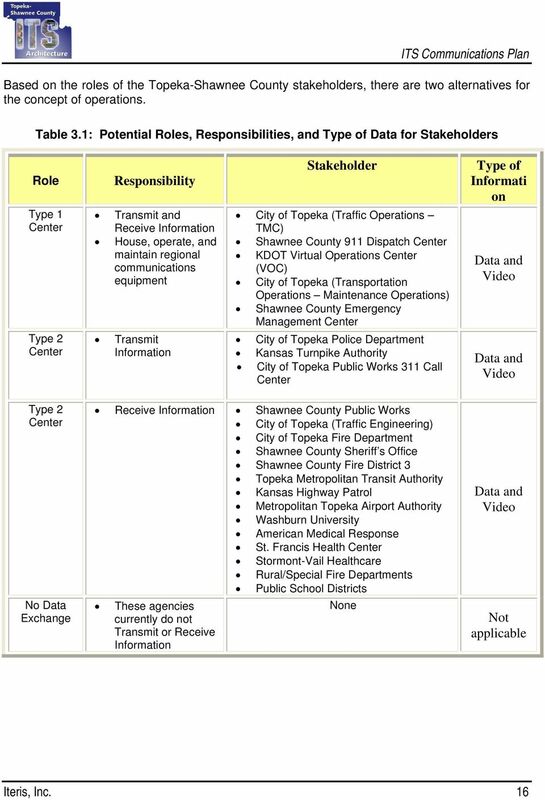 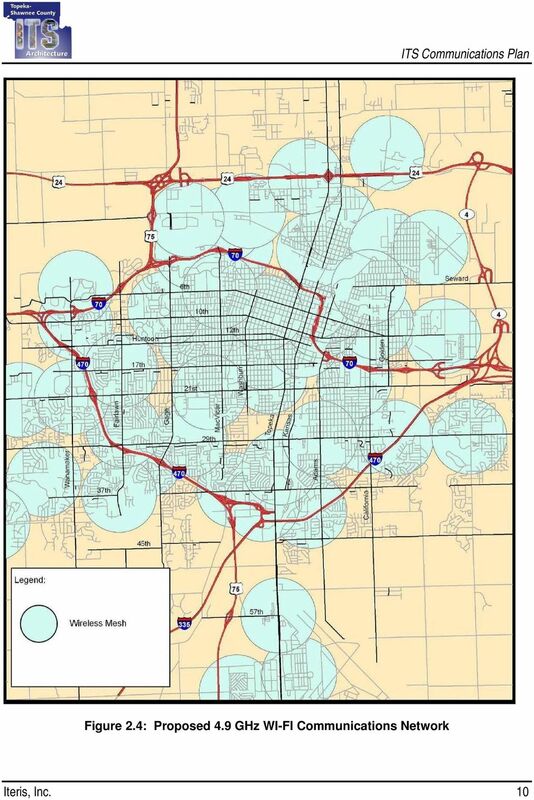 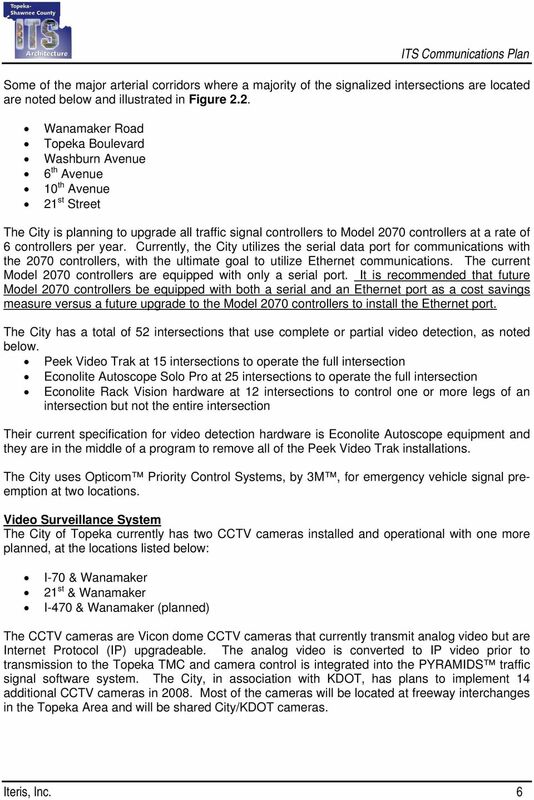 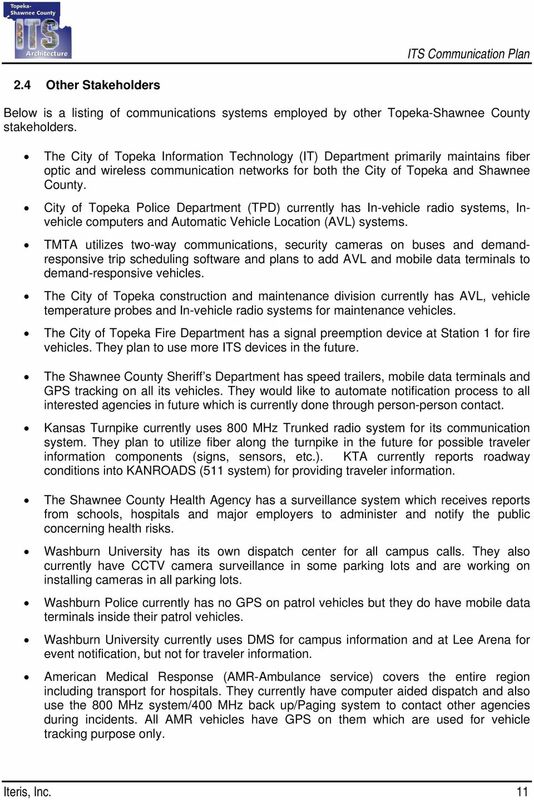 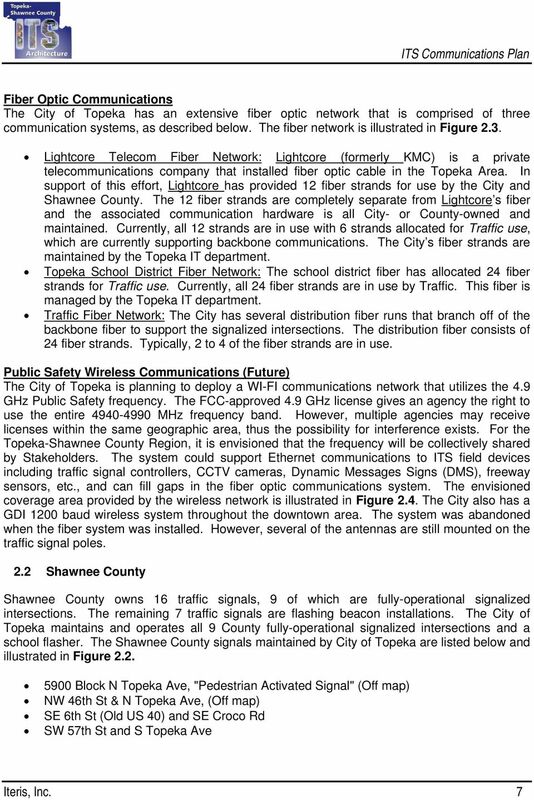 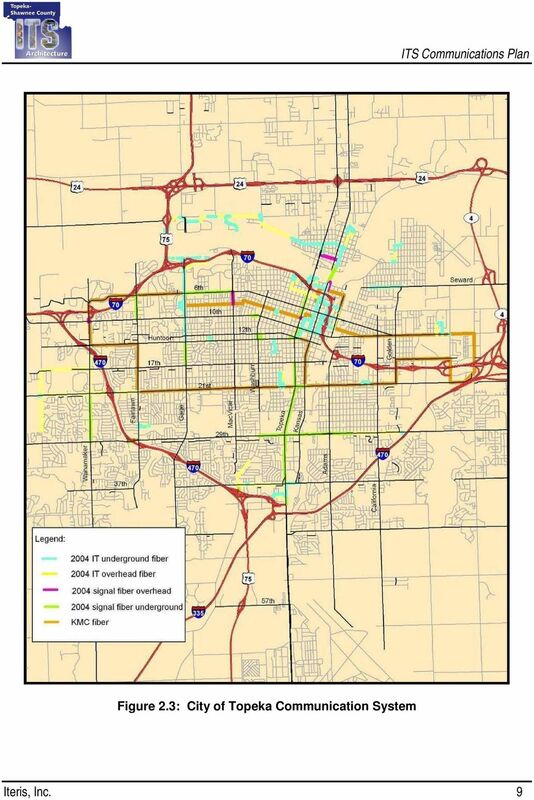 Development of this ITS Communications Plan for the Topeka-Shawnee County Region was funded by the Federal Highway Administration and the Federal Transit Administration through a Consolidated Planning Grant administered by KDOT. 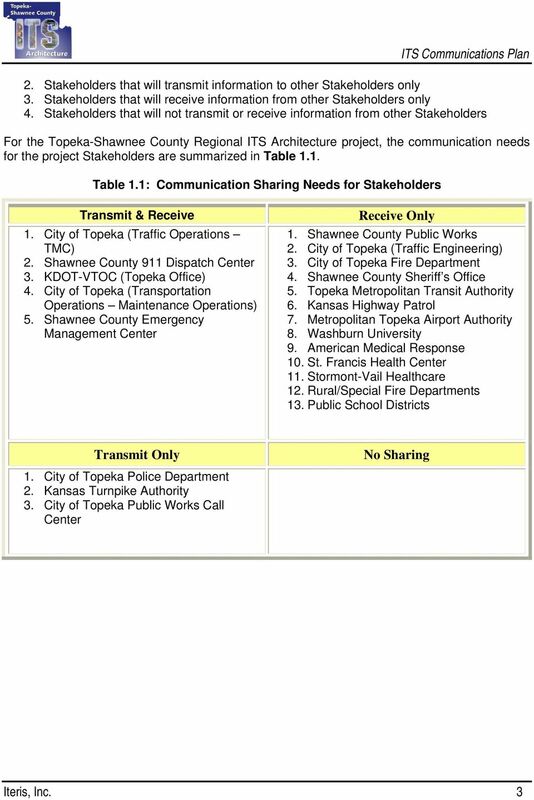 KDOT also supplied funding for this project, and local funding for this plan was supplied by the City of Topeka and Shawnee County. 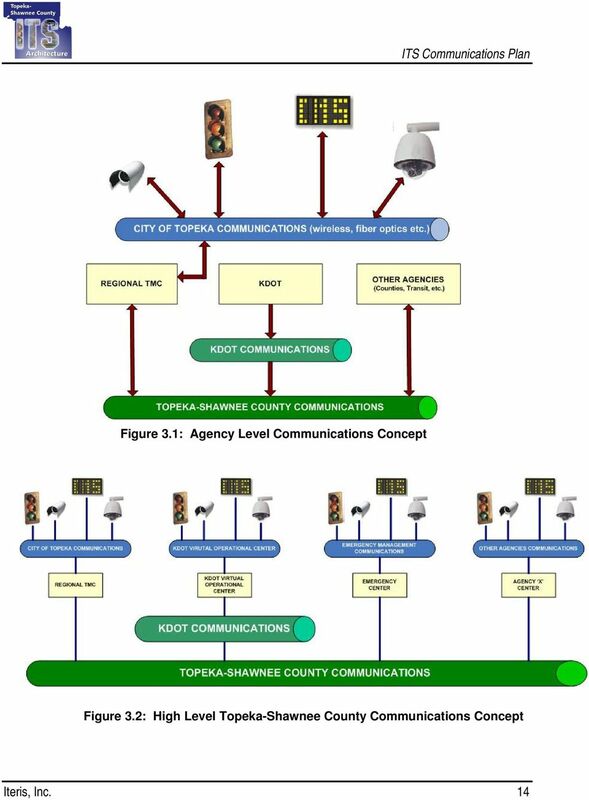 Interoperability: Can You Hear Me Now?